I'm Paul. Welcome to my website. I'm an author. I'm an historian. And I'm a public medievalist. While you're at it, throw onto that pile public speaker, gamer, sociologist, consultant, former actor, and, very occasionally, karaoke rock god. And even though I'm on the very cusp of some people's definitions, I know I'm a "millennial" because my side-gigs have side-gigs. My mission in life is to uncover interesting new histories, and make them understandable, entertaining and, better still, meaningful for people. As such I'm always looking for new (old) stories to tell, and new ways to tell them. And I firmly believe that unless you connect the past to the present, it never rises above the level of anecdote. And I also believe that we can look to the past to find instructive lessons on who we should be in the present. My Book. My book is now available! 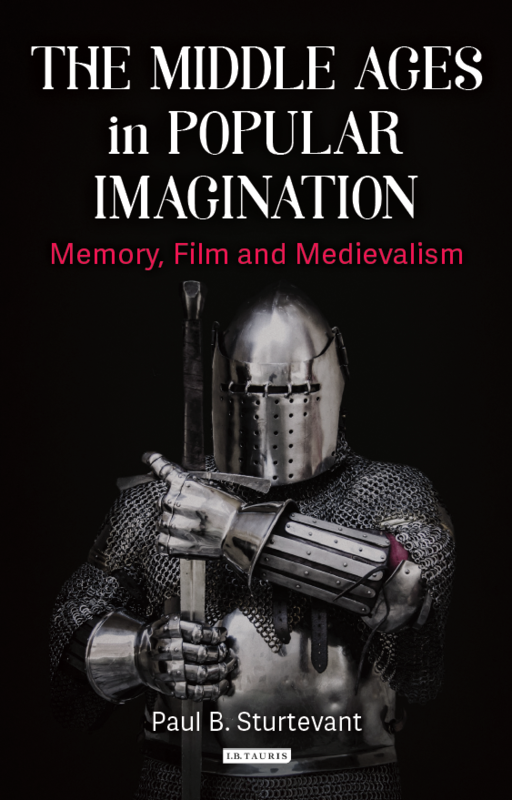 The Middle Ages in Popular Imagination: Memory, Film and Medievalism is available in Hardcover and e-Book at Amazon US or Amazon UK, or at the publisher's website here. It is often assumed that those outside of academia know very little about the Middle Ages. But the truth is not so simple. Non-specialists in fact learn a great deal from the myriad medievalisms - post-medieval imaginings of the medieval world - that pervade our everyday culture. These, like Lord of the Rings or Game of Thrones, offer compelling, if not necessarily accurate, visions of the medieval world. And more, they have an impact on the popular imagination, particularly since there are new medievalisms constantly being developed, synthesised and remade. But what does the public really know? How do the conflicting medievalisms they consume contribute to their knowledge? And why is this important? In this book, the first evidence-based exploration of the wider public's understanding of the Middle Ages, Paul B. Sturtevant adapts sociological methods to answer these important questions. Based on extensive focus groups, the book details the ways - both formal and informal - that people learn about the medieval past and the many other ways that this informs, and even distorts, our present. In the process, Sturtevant also sheds light, in more general terms, onto the ways non-specialists learn about the past, and why understanding this is so important. The Middle Ages in Popular Imagination will be of interest to anyone working on medieval studies, medievalism, memory studies, medieval film studies, informal learning or public history.